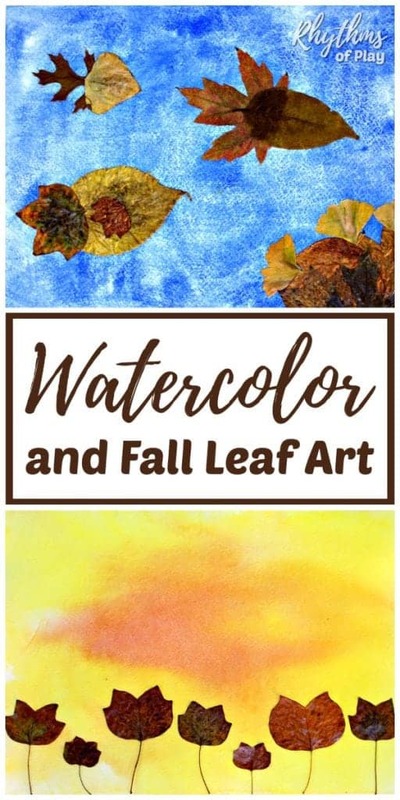 Use autumn leaves and watercolor paintings to create beautiful fall art. 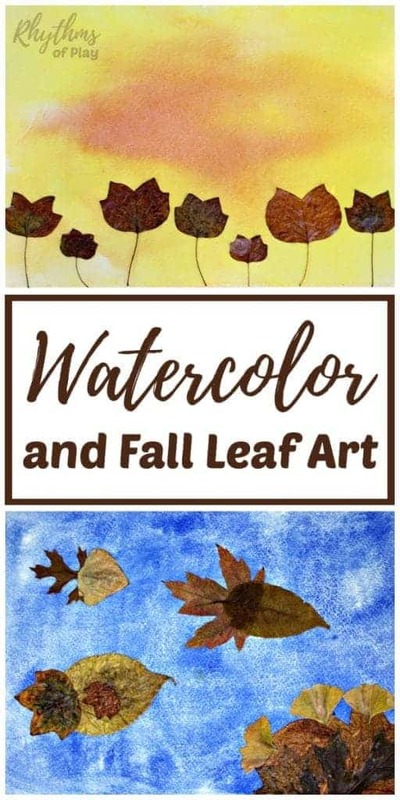 Creating watercolor and fall leaf art is a fun fall art project for kids and an easy way to re-use children’s watercolor paintings and other artwork. Go on a nature hunt with the kids to collect leaves to create autumn leaf art today! This lovely collection of watercolor and fall leaves art was made with wet-on-wet watercolor paintings made by my 3-year-old daughter. She loves to paint with watercolors so we decided to use some of her paintings along with the leaves we have been collecting to create fall leaf art! My daughter paints with watercolors as a part of her homeschool curriculum, so I have been looking for creative ways to reuse her watercolor paintings. After reading Leaf Man by Lois Ehlert , we were inspired to create some leaf art like the leaf art that we found in her gorgeous book. I remembered my daughters wet-on-wet watercolor paintings and thought they would make the perfect canvas for autumn leaf art. We got out some of her paintings and the fall leaves we have been collecting, pressing and preserving after our daily walks and created some autumn leaf art. It was so easy and fun we can’t wait to make more. My husband loves them so much he wants to put them in frames and hang them on our walls. We also made this cute Leaf Baby with autumn leaves and one of my daughter’s watercolor paintings! 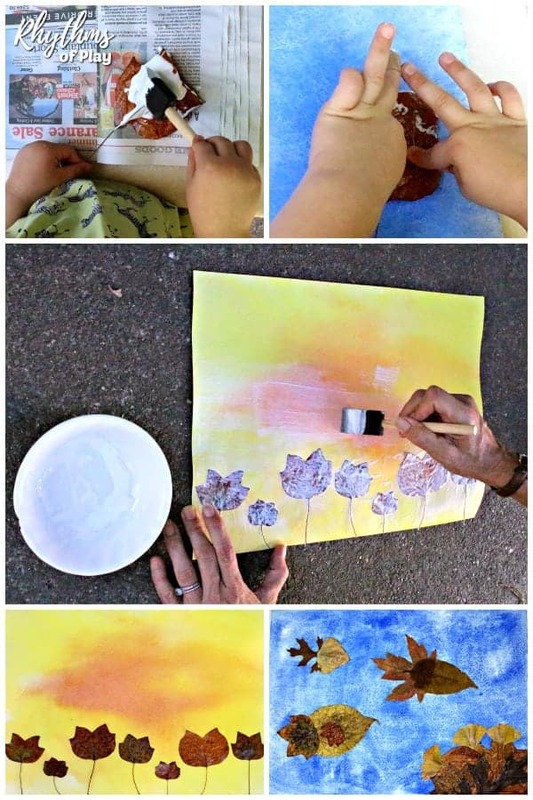 Follow the easy step by step tutorial below to create autumn leaf art. Need leaves? Go on a Nature Hunt. If you don’t have any watercolor paintings you can create some first using the tutorials above, or use construction paper instead. As an alternative, use other types of paintings and artwork that would work to create a beautiful canvas for this fall leaf art project. Once the leaves and the watercolor paintings were in our hands I was surprised at how easy it was to create art with them. Once you’ve decided how you will place the leaves on the paper, glue them down. Use your foam brush to paint Mod Podge on the back of each leaf and then press them onto the paper. Once you are finished gluing all the leaves down the way you want them, use a foam brush to apply Mod Podge on the surface of the entire fall art project. 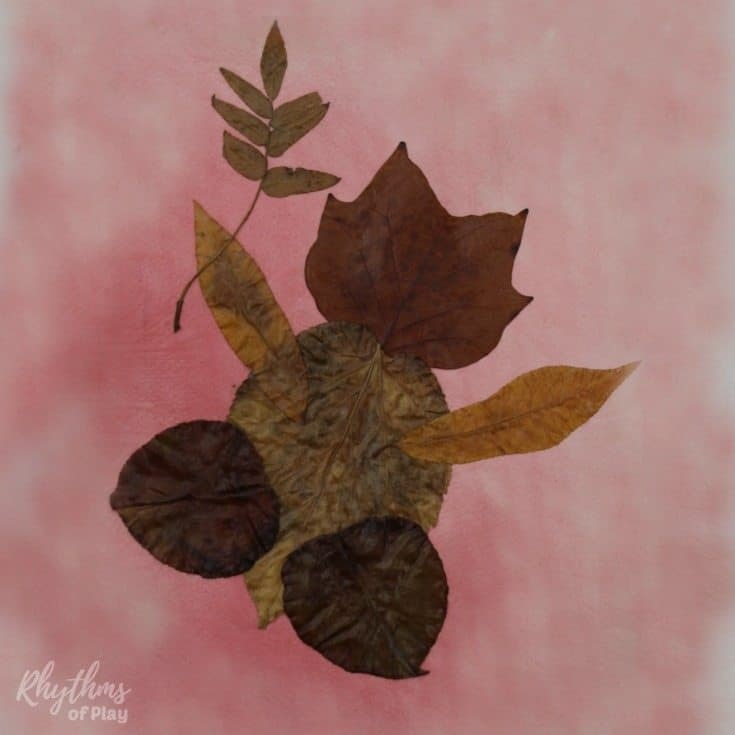 Try some of our other autumn leaf art project ideas for kids below! Watercolor and fall leaf art is a fun and easy autumn art project for both kids and adults. All you need is a few simple supplies and the desire to get creative. Don’t forget to check out this awesome collection of fall art project ideas for kids, and our fall bucket list for the best autumn EVER!